One of the UK’s Leading Suppliers of Chemical Labels! 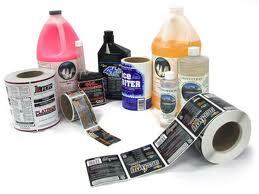 Lotus Labels is a leading manufacturer in chemical labels. We can supply you with short or long runs, tailored to your requirements. With our digital label press we can offer a fast and cost effective service, as well as high quality chemical labelling. Produced on digital presses, our chemical labels are waterproof and weatherproof as a result of the durable lamination process.